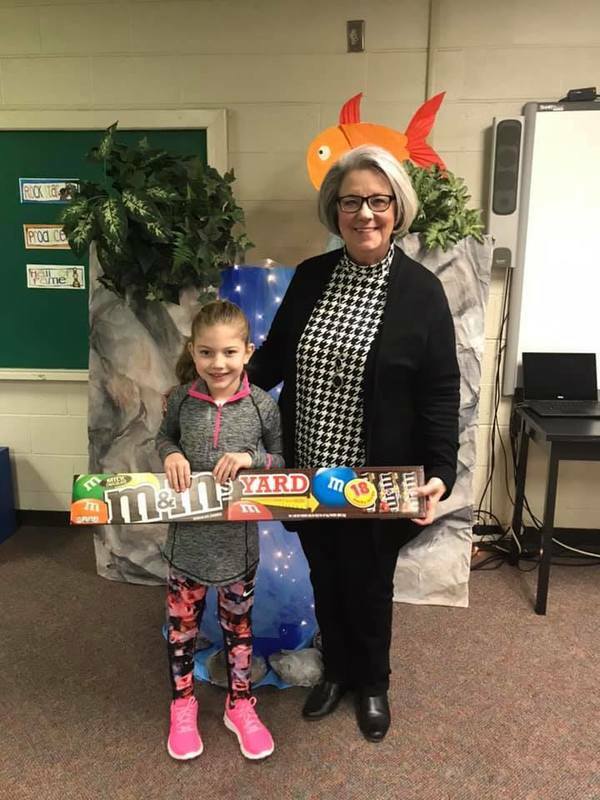 Josie Mann, first grader in Missy Inman’s room, is the first student of the year to earn 300 Accelerated Reader Points!!!!!!! Josie won a “yard of m&m’s” and will receive a trophy at the end-of-the-year Awards Assembly. WAY TO GO, JOSIE!!!!!!!!!! 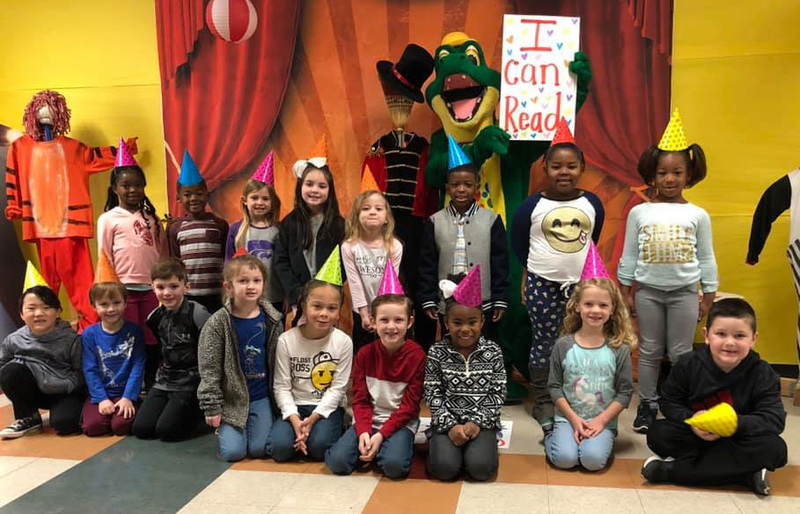 We celebrate kindergarten students at Hugh Goodwin when they reach their district END OF YEAR reading goal! (level D) This will be held once a nine weeks, with a school-wide “CLAP-OUT.” We want these students to feel great about learning to read! 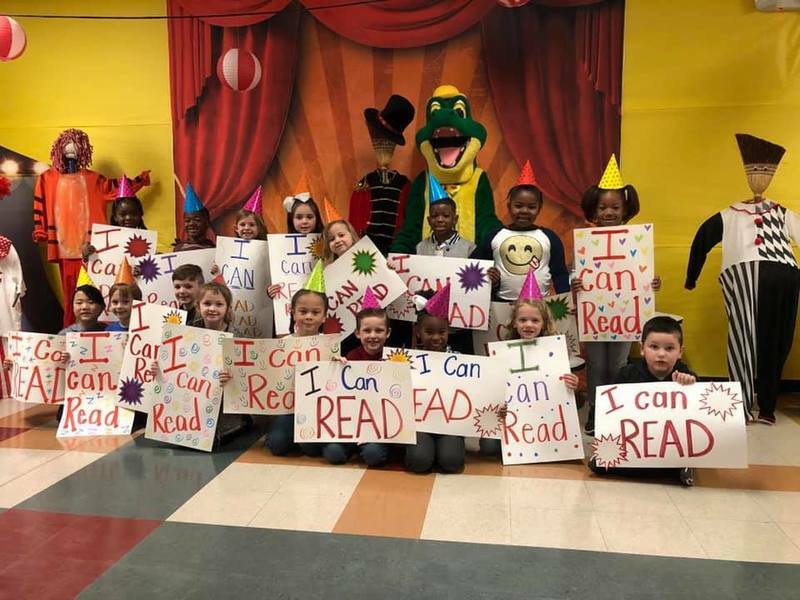 After all... learning to read is the KEY to ALL future learning!!!! Rewarded my top readers today from first semester!! The 9 that reached 25 points by end of first 9 weeks got a pizza party today! 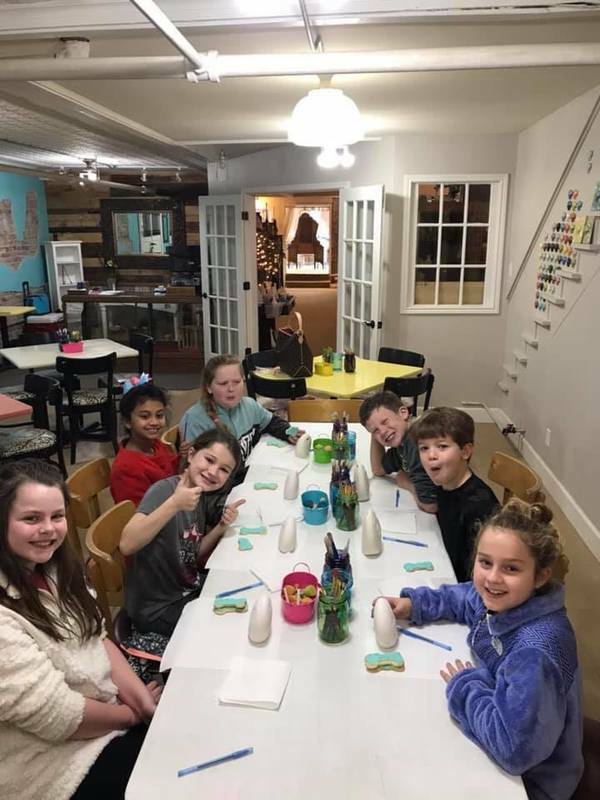 The 7 that reached 50 by the end of the first semester got to go to the Pottery House and paint!! Fun times!! So proud! !